Touristic Cruises with View - Yacht Charter Maiori. Maritime Shipping to the Amalfi Coast and Capri. The Capri Island and the Bay of Naples on Boat. Among the Flegrea and the Sorrentine Peninsula. The Neapolitan coast offers a lot of activities from the beach to the country related to its sites of art, history and archeology. Under Vesuvius's slopes you can find a wonderful world: islands, inlets, bays and harbors. Today with our rental services, the Isle of Capri remains the most popular destination. Our complete program of excursion gives you the opportunity to discover just in one day the impressive sights of its cobalt sea. 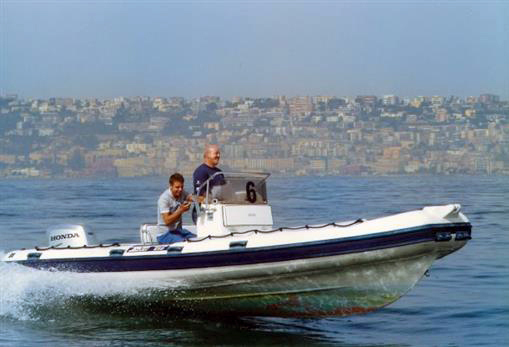 With our staff and boats, you’ll discover all the attractions of the Gulf of Naples. The Faraglioni Rocks of Capri and the Blue Grotto. The Faraglioni are the three famous rocky cliffs that emerge from the Capri’s sea, at south-east of the island. The view is wonderful. In the Anacapri area there is also the blue Grotto, that is carved into the rock and visitors can admire a wonderful play of light. "Full day excursion by boat! Embarking from...at 09.30 a.m. towards the beauty of the Amalfi Coast and its treasures! Along the way to Capri we see round Sulfuria's Grotto and Pandora's Grotto, Furore, Emerald Grotto and than Positano. Once in Capri, our programme is quite flexible, you can have a full tour of the island, by sea or you can visit the famous Piazzetta! It's so easy just get in touch with us and we plan you time in the best way!!!" 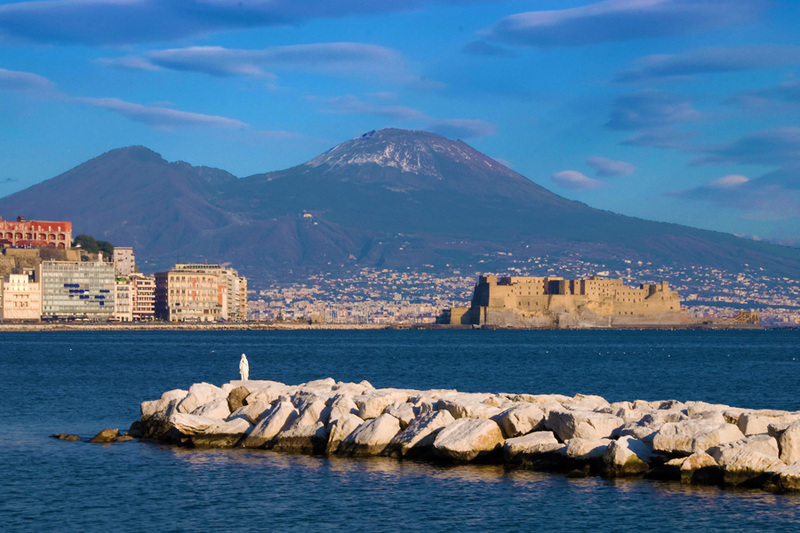 Naples view from the sea with Mount Vesuvius, which surrounds its harbor, is an idyllic vision. What stands out immediately is Castel dell'Ovo, the oldest fortress of all. The promenade of Naples is full of life and is made up of the typical streets of Via Caracciolo and Via Partenope, the well-known Mergellina zone: from here, you can admire the spectacle of the sun that disappears on the horizon. 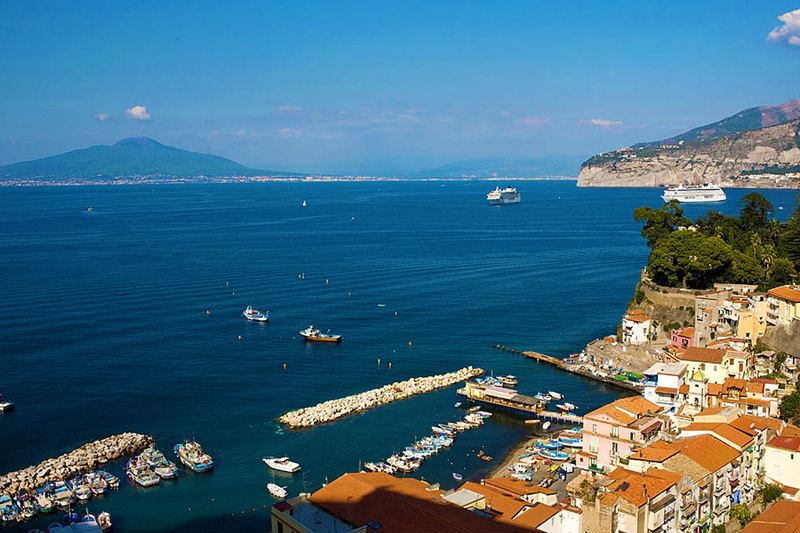 Sorrento is situated on the north-western side of the Sorrento Peninsula and is designed on a tuff rock that plunges sheer into the sea. Its vegetation is chock-full of orange and fruit scents that enhance its extensive gardens. Among the imposing cliffs we find the two crowded beaches each year by thousands of tourists include Marina Grande and Marina Piccola. 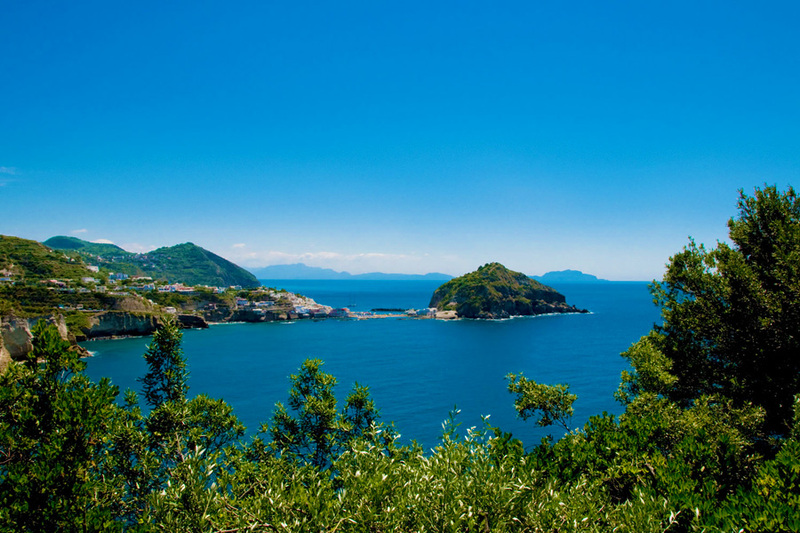 Ischia is the largest of the three islands Flegree. Due to its conical shape is protected from cold winds and ensures a mild climate even in the most rigid period of the year. Since ancient times, has been an inexhaustible source of well-being for its therapeutic waters, and even today, in the south of Italy, is the most popular destination for lovers of relaxing and spa tourism. Procida, is the smallest of the Neapolitan Islands but has a unique and mediterranean charm. Its skyline is a set of bright shades, represented by the ancient buildings of little neighborhoods overlooking the sea and quiet streets. 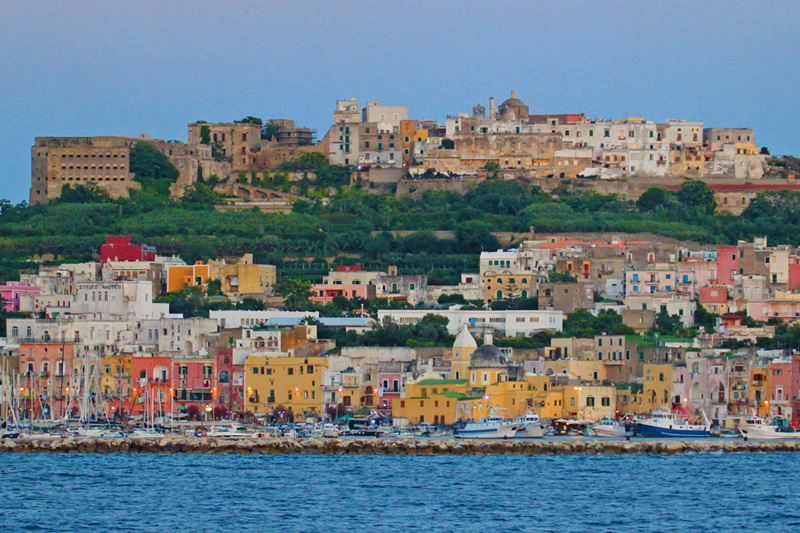 Its village is dominated by the Palazzo d'Avalos, more commonly known as Castello di Procida.